Armed Forces Day (Dia das Forças Armadas) is one of the public holidays in São Tomé and Príncipe. It is celebrated on September 6 to honor the country's military and raise awareness of the issues the small force has to face. The Democratic Republic of São Tomé and Príncipe is a small island country in Central Africa. It gained independence from Portugal in 1975. 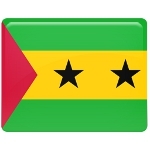 The country's military is known as the Armed Forces of São Tomé and Príncipe (FASTP). The FASTP are the smallest armed forces in Africa. They mostly ensure internal security and carry out paramilitary duties. The FASTP comprise four branches: the Army, the Coast Guard, the Presidential Guard and the National Guard. They have almost no resources at their disposal. The country's Minister of Defense and the Commander-in-Chief of the Armed Forces intend to address these issues with foreign assistance (namely that of Nigeria, Angola, Portugal, France and the United States). Armed Forces Day is a public holiday celebrated with military parades, which are held in the capital city of São Tomé.